LAS VEGAS, MARCH 14, 2018 – xG Technology, Inc. (“xG”) (Nasdaq: XGTI, XGTIW), a leading provider of wireless video solutions for the broadcast, law enforcement and defense markets, and private mobile broadband networks for critical communications, announces that its IMT Vislink business has been selected to present at the Broadcast Engineering and Information Technology Conference (BEITC) at this year’s 2018 NAB Show in Las Vegas. The session, titled “Bringing Studio Workflows to the Field: Leveraging Licensed Broadcast Spectrum Assets,” will take place on April 10th from 11:00AM – 11:20AM (PST) in the North Hall Meeting Room (N255). newsnet incorporates a high-speed and reliable bi-directional IP network that utilizes the exclusive and highly coveted 2 GHz BAS-licensed spectrum, thereby increasing the number of live ENG transmissions and workflows that can be performed from the field. The newsnet system consists of one or more mobile high-speed IP network nodes that easily connects with a base station, typically located at existing ENG receive sites. 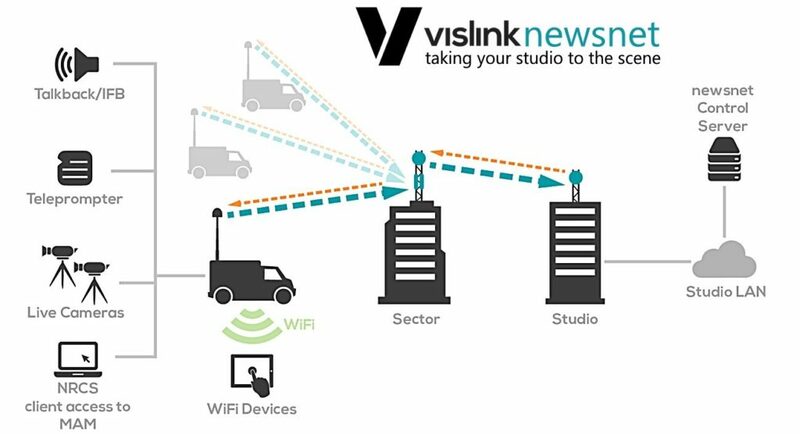 Each mobile node not only offers high-quality video transmission capability, but also a private and reliable ingress point for other IP-centric edge devices-allowing users to control their own private high-speed IP licensed wireless network and ensuring that their content newsgathering workflows and intellectual property are never at risk. 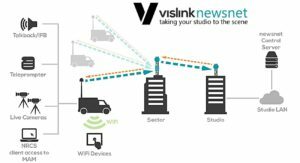 At NAB 2018 (Booth C6008), IMT Vislink will be showcasing a wide array of solutions alongside the newsnet ecosystem. A variety of wireless camera transmitters will be on display including the MicroLite 2 HD ultra-compact, ultra-low latency wireless video transmitter and the HCAM HEVC 4K UHD Wireless Camera Transmitter.